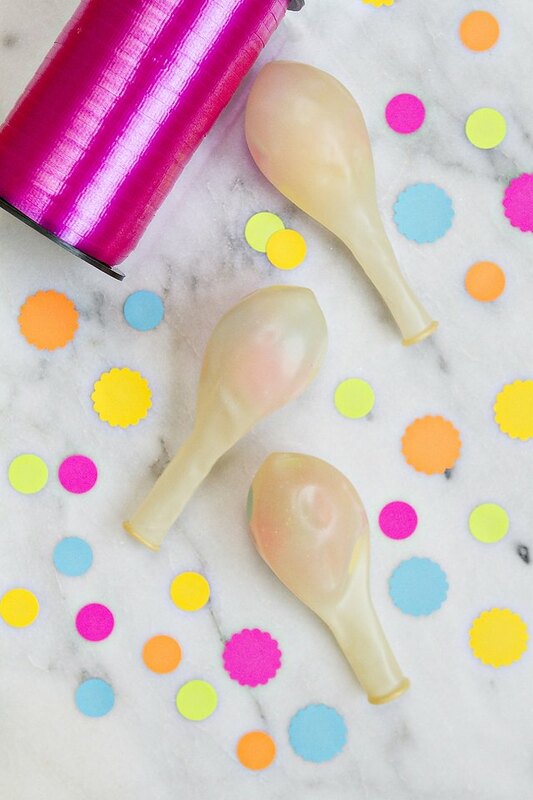 Spruce up your next party or get together with these festive confetti-filled balloons. Using homemade confetti these balloons make the perfect addition to photo backdrops, look great hung behind cake tables, and make for festive and fun party decor. If you have kids, enlist their help as this is a fun project for all ages! 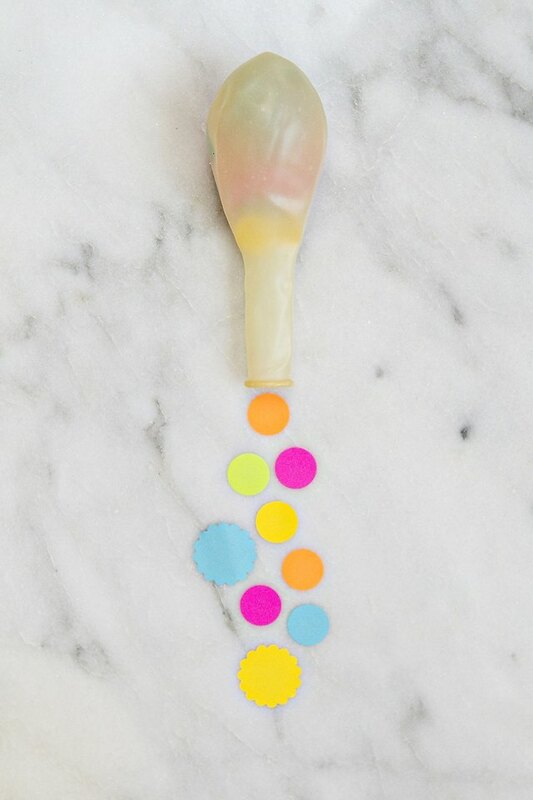 Use colorful paper to create your homemade confetti. Slide the confetti into your balloon through the opening. You may need to wiggle and stretch the balloon a bit to easily slide the confetti through. Fold larger pieces of confetti in half so that they are easier to place inside the balloons. Once you have slid them through the opening, you can unfold the paper. Once you have placed a good amount of confetti inside your balloons, simply inflate and you are finished! 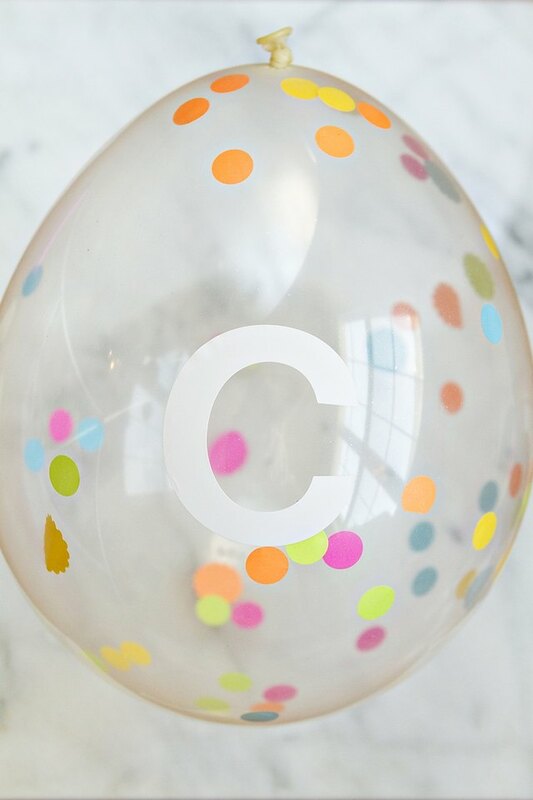 To create a banner with your confetti balloons, simply place an adhesive letter in the center of each balloon. Hold the balloon upside down with the tied off end at the top before placing your letter. Then, tie some string to the tied off end to create your banner. 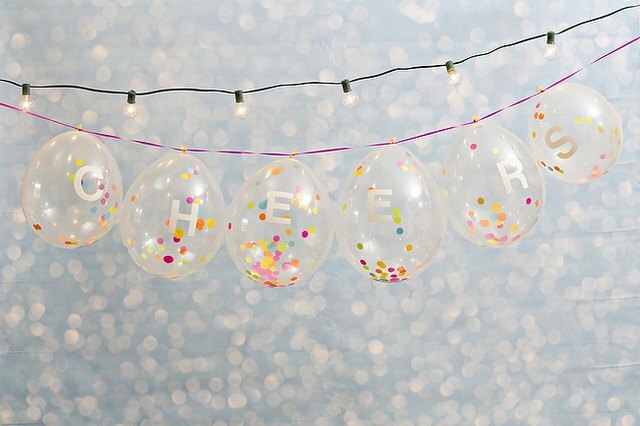 Confetti balloon banners are the perfect addition to birthday parties and other fun celebrations! Have leftover confetti? Looking for another fun and exciting addition to your party decor? Make your own party poppers! Click here for the step-by-step tutorial. 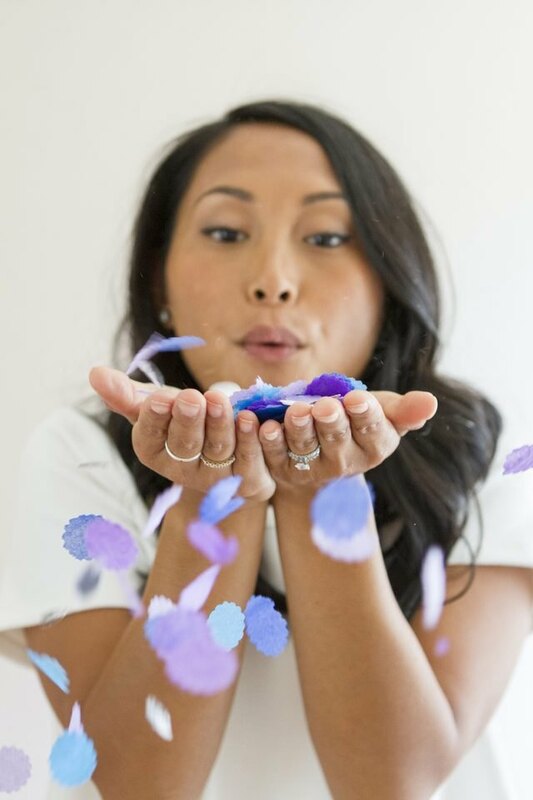 Make confetti to use as an easy addition to your party table decor, to include in party favors or goodie bags, or just because! 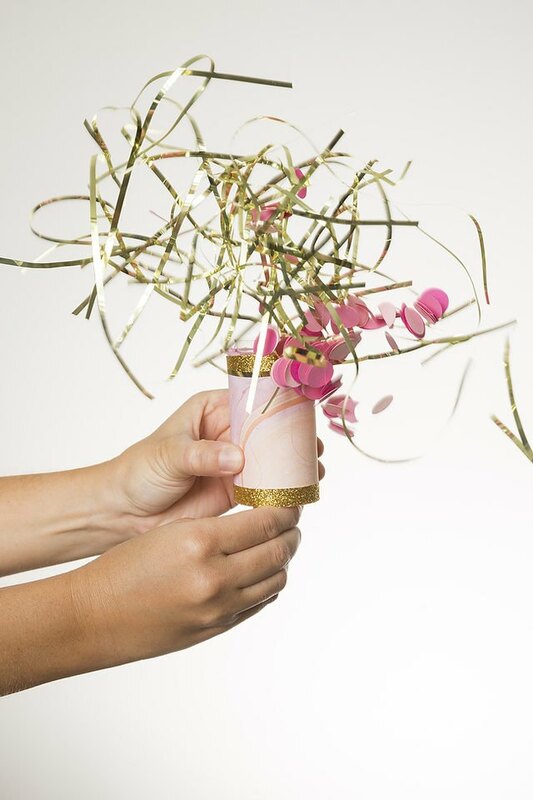 Click here for the full instructions for how to make your own confetti the quick and easy way.